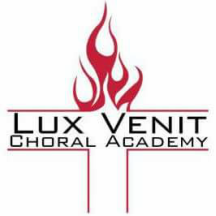 The Lux Venit Choral Academy is a choral music program especially designed for North Texas homeschool students and their families! We offer an affordable, Christian program for ages 5-18, emphasizing music concepts and singing skills. In addition to performing in various venues, our older students qualify to compete in local, regional, and all-state singing competitions. No audition is required to join our classes or choirs, except for Chorale, our most advanced high school choir. We meet in six convenient locations in Tarrant County. Please feel free to contact us with any questions you might have about the program. The students of the Lux Venit Choral Academy will strive to work in unity as a team and individually to pursue excellence that gives glory to our Lord, Jesus Christ. The older ensembles require a higher level of musical skill and discipline to study at home and be prepared for each rehearsal. The selection of choral literature aims to glorify God in worship as well as expose the students to a variety of musical genres such as Baroque, Classical, Renaissance, folk songs, spirituals, hymns, etc. All choral groups function as a team, and the smaller the team, the more that is demanded from each individual to achieve success.